2. Click the 'Pay Rent' button on the top menu. 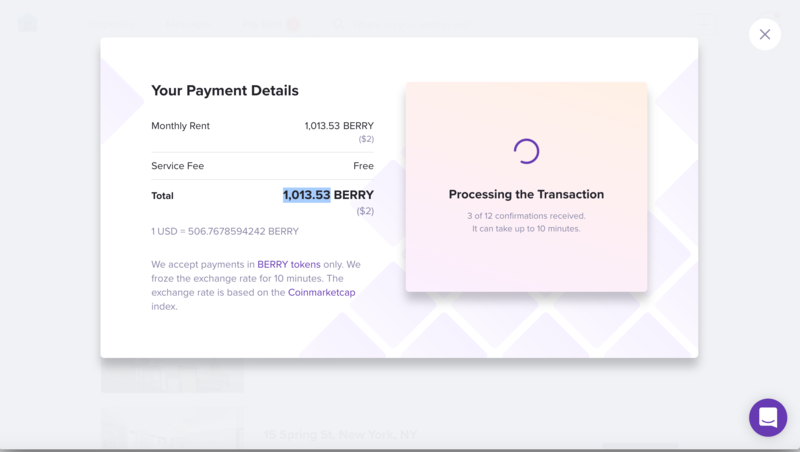 You will be directed to the list of the properties you rent on Rentberry. 3. Choose your property and click the 'New Payment' button on the right. 4. Enter the monthly rent you're paying and add comments if needed to let your landlord know additional details. You can mention the month this rent is for or list the rent deductions you made according to your discussed arrangements. 5. You will be directed to the payment page and get the crypto bill that you'll have to pay to send the rent payment to your landlord directly. 7. 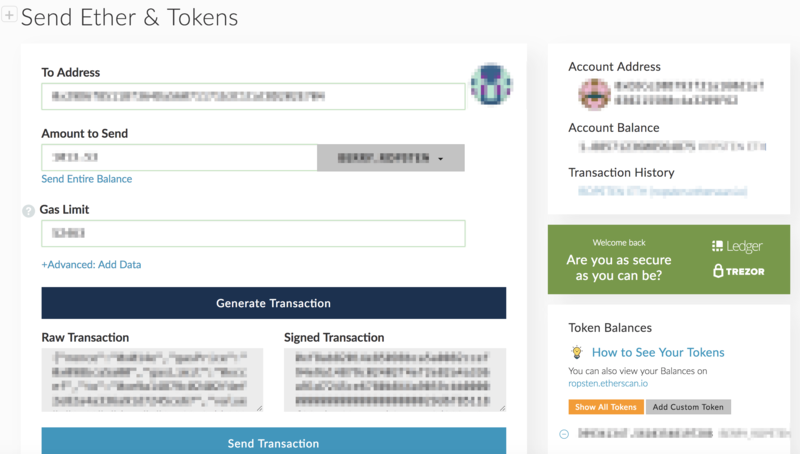 Click the 'Send Ether & Tokens' button on the top menu. 8. 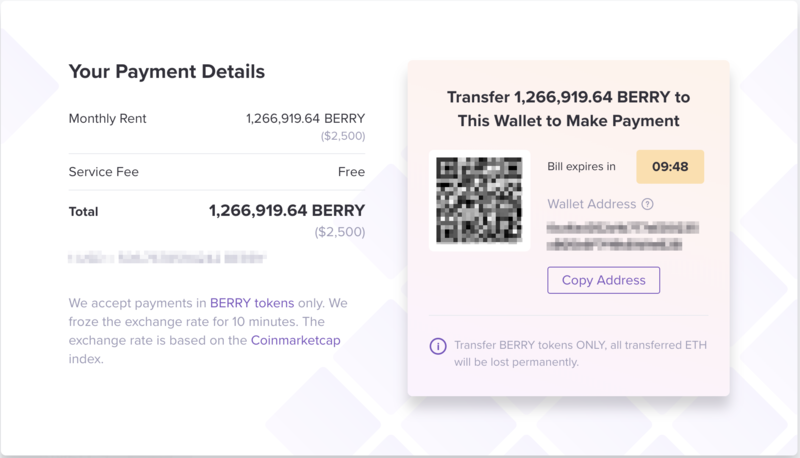 Enter your wallet and send the BERRY tokens to the landlord's wallet mentioned on the bill payment page. 9. 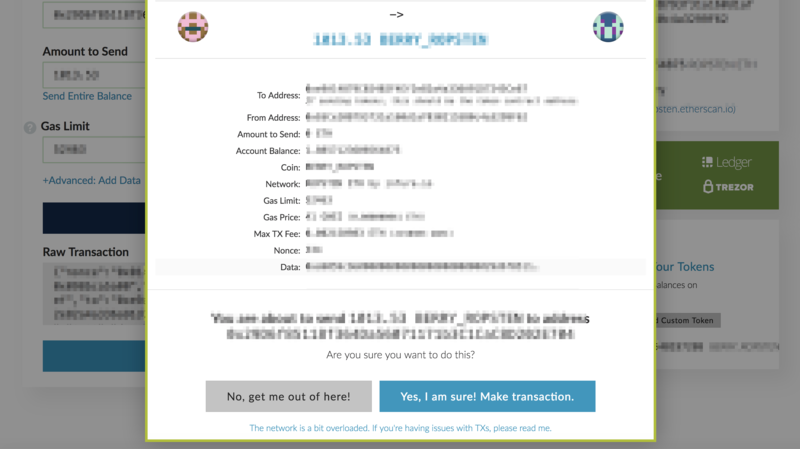 Confirm the transaction on myetherwallet.com. 10. 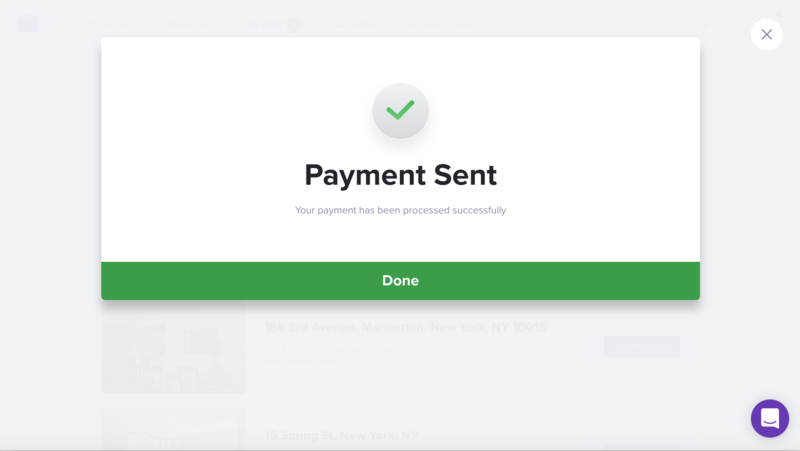 Once you've sent the payment to the wallet address, you'll have to wait for the confirmation delivery. This usually takes less than two minutes. 11. Congratulations, your payment has been sent! 12. You can review your rent payments history in the 'Pay Rent' section anytime. Please note: All the successful transactions will have the 'Success' status. Your landlord will receive an email notification regarding your rent payment. Rentberry ensures the smoothest and fastest communication of landlord and tenants on the platform.